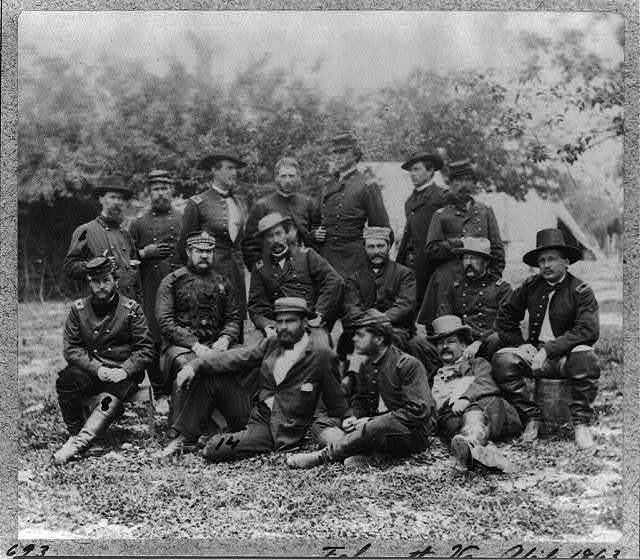 Group at Headquarters of Army of Potomac, Falmouth, Va.: J.S. Crocker, Ulris Dahlgren, B.C. Ludlow, A.N. Duffie, E.R. Warner, Lord Abinger, J. Dickinson, S.F. Barstow, J.B. Howard, D.W. Flagler, Harry Russell, J.R. Coxe and 4 unidentified men. Fla. - Miami - looking down Flagler St.
Mr. H. M. Flagler and party leaving first train to arrive at Key West, Fla. Oversea Florida East Coast R. R.